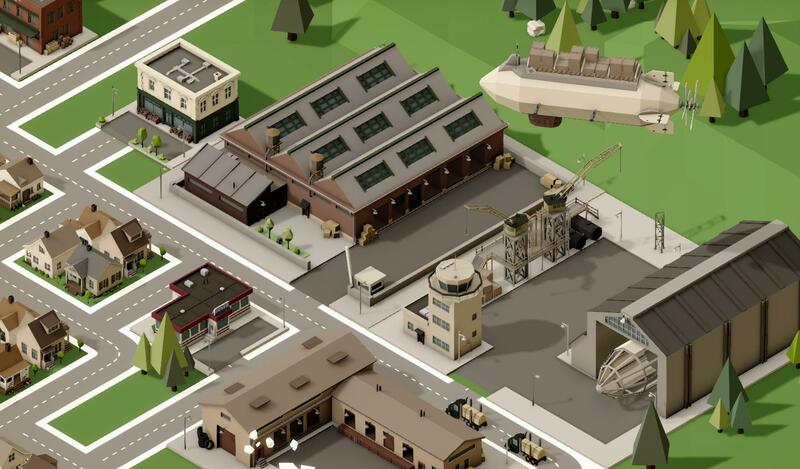 Rise of Industry is a very promising tycoon game, but it's more complicated than the cute graphics make you believe. Therefore, I compiled this list of 10 tips for new players in order to help you get started, and prevent make the same mistakes I made. As some people prever video and others prefer text, the guide is available in both formats. Hope it's useful! Constructing your buildings close to each other has two advantages. The first one is of course that trucks simply have to spend less time trucking from one place to the next, and time is money. However, there is a second reason why this is beneficial. Whenever trucks get dispatched, a 'dispatch cost' is charged. This cost is based on the amount of distance the trucks have to drive. Therefore, having short distances not only directly saves you time, it also saves you money. Trade routes can be set up using the little arrow symbols in the top right of the screen as per the tutorial. The way these work on a financial level are not clearly explained though. When you set up a route, you can add goods to be transported. In the case of trucks, the used trucks actually carry more goods than the normal transportation trucks can. Each 'slot' in the traderoute windows represents one truck. This means you can have a maximum of four trucks in a route. Now the important part is that a trade convoy with 4 trucks costs exactly the same to dispatch than a convoy with 1 truck. Therefore, setting up one route with 4 goods is more efficient moneywise than setting up multiple routes with one good. One more about trade routes! The trade route window allows you to do some more complex things. First of all, you can add more stations to the same route. Let's call them building A, B, C. Let's say you want to bring for water from A to the others, and both B and C should receive 2 of these waters. To do this, add both B and C as extra stations, and fill up the four slots with water. You will now see four red icons showing water in station B. However, this means we would unlock 4 water at B, and not have any left for C. To amend this, click on the little icon next to the X on a slot of building B(looks like a pause-button turned 90 degrees). Now these will turn grey. This means they will not be unloaded to B, but will be transported to C instead, which is what we want. Normally a new convoy is only sent out when the first one has finished the entire route. To change this, you can increase or decrease the number of 'convoys' assigned to a trade route. This means multiple can be active at the same time. Don't make your trade routes too complex, as you can easily get stuck due to the lack of options the game currently provides with storages. Let's say I have a trade route from A to B containing four different products. All the producers bring their products to the truck depot, and they are shipped from there. The problem is that a storage only has limited space. If one of your goods produces faster than the others (hard to prevent), you'll start flooding the storage with this good. As soon as even one of the goods is not present in the storage anymore, the traderoute will not drive anymore, and you'll lose out on a lot of money. Therefore, either plan supercarefully, make multiple traderoutes from the same storage, or use multiple storages. I personally prefer career mode over free mode, as it's way less overwhelming to a new player, as there are basically less options available at the start. However, be very careful when choosing your initial unlocks, as you can easily get stuck here. For example, if you unlock the textile factory as your first one, you will not be able to use it for a looong time, as it needs to have access to cotton, which you only get from a tier 3 farming building. When you unlock wheat farms, they can't do anything with their products except sell to the state, until you unlock something like animal farms. Safe buildings to start with are 1): Water siphon + orchards, as you can directly sell apples, grapes and oranges to many towns or 2): Lumberyard + papermill, as the wood provided to the papermill can be turned into paper and cardboard, which in turn can be turned into carton. You can buy products from the wholesaler! 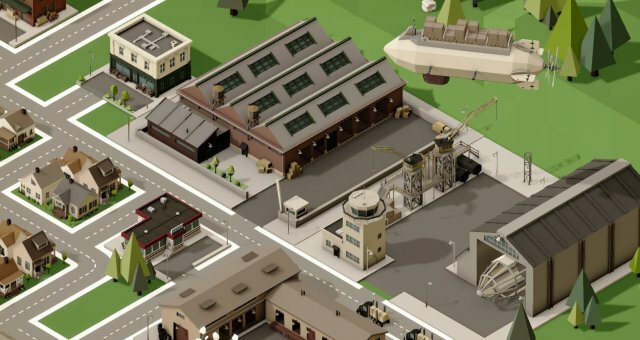 Let's say you start an industrial start with the lumberyard + papermill. The papermill will also be needing water, but you can't produce it as you used your unlockpoints for the lumberyard. To circumvent this problem, go to a town and click on the wholesaler to see if they have water available for you. If so, click on 'destinations' just like normal and send the water to your industry. This will cost you money, but will allow you to produce your goods and still sell at a profit. Watch out for the upkeep costs of trucks. Whenever you set up a 'destination', the game immediately assigns 3 trucks as a default. However, if you build stuff close by each other, you won't be needing 3 trucks. This means the trucks will not be doing anything, but they will still cost you upkeep costs. Decrease the number of trucks you need to prevent this from happening. It is very easy to over or undersupply things in this game, which can completely mess up your traderoutes etc. Unfortunately we do not yet have tool to help us with this problem so for now we'll have to do some calculations. Let's say I want to know how many water siphons I need to supply my wheatfarm with 4 fields. Each field needs 1 water every 15 days, while each water siphon provides water every 7.5 days. To calculate how many siphons we need we can do: (7.5/15)*4 = 2. This means 2 siphons will be able to 'fuel' the wheat plantation. You can use this calculation even for more complex buildings which need multiple inputs. Production buildings fully stop working when even one of their outputs is full. A cattle farm produces three things: meat, leather and milk. I can sell the meat to the city and use the milk to make cheese, but let's say I haven't got a building that uses leather yet (you cannot sell it directly commercially , although you can sell it to the state at a bad price). Even if you cannot use the leather, make sure you take it out of the cattle farm (either to store or sell to the state). The reason for this is that the farm will completely stop working if it is full of leather, even if there is no meat and milk at all and you have plenty of resources to make cows. It simply will not start anymore. Therefore, make sure the 'output' part of a production facility is always cleared out. There are so many things you can produce in this game it can easily get overhwelming. To make this a bit easier to understand, make sure to have a look at the recipe book in the game (click on the book icon in the top right). Here you can search for something you're interested in, either by clicking on the titles or by typing in the search bar. The nice thing is that you can click on the inputs in order to figure out how to make that particular thing. Let's say I want to know how to make summer clothes. I find them in the list and click on them. It needs fabric, but I don't know how to make that, so I just click on the fabric icon and it tells me how to make fabric etc. etc. If you want to have access to these recipes outside of the game, please find the pdf here.